In fact, just drinking plenty of purified water is the first step toward an effective flush. Water, however, only provides hydration. 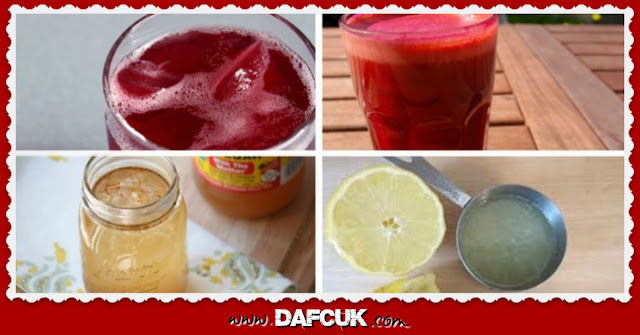 The following 5 kidney-cleansing drinks may provide that extra cleansing boost. Cranberry juice has been touted for years as a supporter for the urinary tract. Research shows that cranberries can help fight against urinary tract infections, possibly by decreasing the adhesion of bacteria to the bladder and urethra. Cranberries may also be helpful for cleansing the kidneys of excess calcium oxalate, one of the main contributors to kidney stones. When purchasing cranberry juice, always choose varieties that are certified organic and free of added sugars, preservatives, or artificial flavors; or, get a juicer and make your own. Juice cleanses are all the rage, and with good reason. A juice cleanses combines the nutritional power of fruits and vegetables into one, easy-to-drink beverage. The juice of vegetables and fruits is loaded with antioxidants and nutrients necessary for facilitating the removal of toxins. This helps take the strain off the liver, colon, and kidneys. Vegetables like celery, cucumber, zucchini, lettuce, carrots, kale, and spinach are great for juicing. For fruits, try apples, peeled oranges, pears, pineapple, and peaches. There’s no question that certain nutrients are beneficial for kidney health, but many people don’t get enough in their diet. That’s where kidney cleansing supplements can be helpful. The best ones contain herbs have had their active compounds extracted and enhanced to maximize efficacy. There are a number of herbs out there and a supplement like Renaltrex is a great source for many.